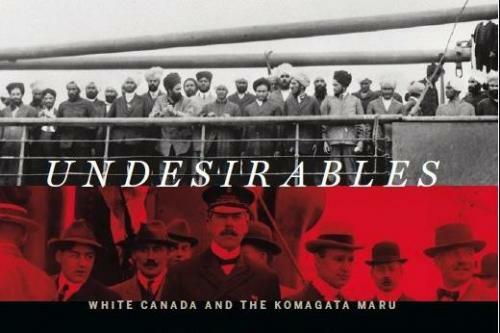 Undesirables: White Canada and the Komagata Maru by Ali Kazimi, is a book that recounts an important and infamous historic moment that took place in Canada regarding racialized discrimination. Undesirable casts light upon the sour history of Canada and its efforts to keep racialized communities out of its borders. The book looks at the happenings surrounding the Komagata Maru, a ship that came ashore in Vancouver B.C in May of 1914 with 376 individuals from British India. Many of the passengers had belonged to the British Indian Army. This text is important in bringing awareness towards racism rooted in history, and Canada’s attempt to keep immigrants out of its land by enforcing discriminatory rules and regulations such as the “continuous journey”. This meant immigrants from India had to travel directly from their country of birth without any stop overs in order to be legally allowed into Canda. This rule was conscious decision by the government to hinder attempts of Asians seeking to gain immigrant status. What is even more important about this book is that the readers are made aware of history which many present day Canadians have never learned before. Information on Undesirables and the author Ali Kazimi can be found on http://undesirables.ca/. Interesting topic. i wish I had a Facebook account, so I could join your page. Yes, I am all for a Racism free Ontario, but I don’t think it will ever happen.